Defender Sam Stubbs has joined League Two side Crewe Alexandra on loan from Wigan Athletic until January. 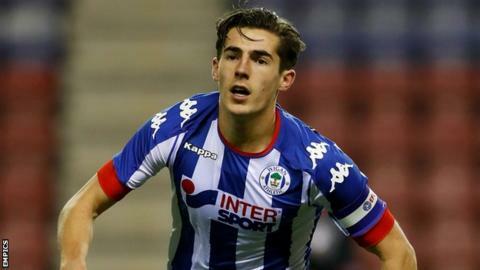 The 18-year-old son of ex-Everton, Celtic and Bolton defender Alan Stubbs, made his professional debut for Wigan in the Carabao Cup earlier this month. The Liverpool-born player was himself on Everton's books before joining Wigan's academy at the age of 14. Stubbs, who signed a first-team contract this summer, is scheduled to stay with Crewe until 10 January. Stubbs becomes the seventh summer signing for Crewe, who have begun the season well, unbeaten in four League Two games.